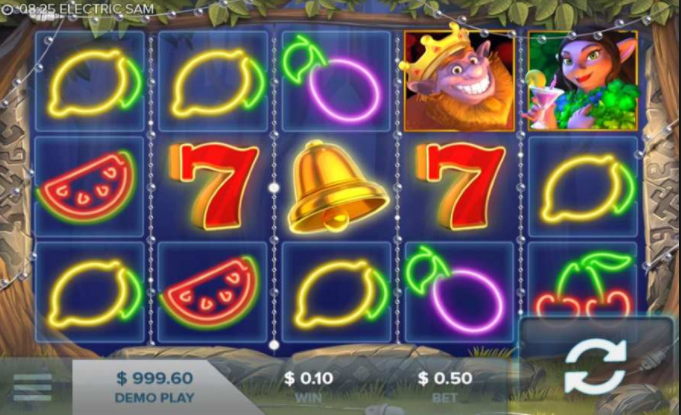 Here's a superb new online slots from Elk Studios that you can play. What appears to be a game based on the power of electricity is actually a very well-crafted slot from the minds over at Swedish-based online developer: ELK Studios. 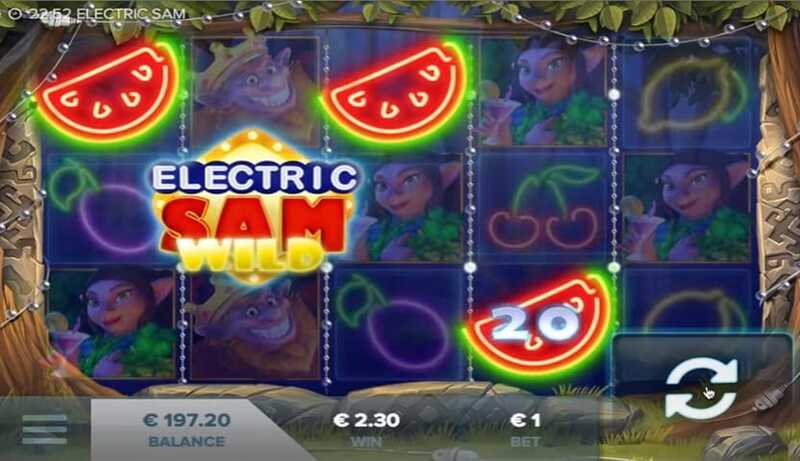 With a name like Electric Sam you’d expect some level of power, although the power one receives from this best UK slot games is very much in the name of fun and excitement. Swedish developer ELK Studios have a long history with online gaming experiences. After bursting onto the scene with the online slot Hong Kong Tower in April of 2013, ELK Studios continues to make new ground in betting entertainment every day, always coming up with fresh new ideas and the confidence to try something a little different with each new game. If you love promo's, get the best new slot promotions today. This is a slot that’s theme centres around a troll that likes to play slots with power outlets. Although this slot is clearly taking place in a forest, this troll has somehow discovered a way to siphon power amongst the trees themselves. This forest is not only home to this troll, but many other woodland creatures who have seen the light. These creatures take the shape of the many different symbols that can be seen on the game board itself. Each symbol sports a different numerical value, a value that can lead to some rather generous wins should you know how to successfully traverse these reels. On top of these themed symbols, players will see some classic symbols such as Lemons and 7’s: all of which exist to give Electric Sam that much appreciated spark that other slots in the genre lack. Bets can be placed from as little as 0.2 coins per spin, with the potential for much higher bets depending on your preferred play-style. Like most online slots, here too can you find bonus features such as wilds, scatters and free games to keep your attention. The graphics here are quite cartoonish with a 3D graphic element to them. This is a very clean look and will be sure to keep players occupied as they spin reel after reel. Electric Sam is available on multiple of your favourite mobile gadgets as well as desktop, allowing players to try out potential strategies on the go. Sometimes a bright idea is one that can appear in the best and worst of times, so having this game be played anywhere and at anytime is a great incentive.